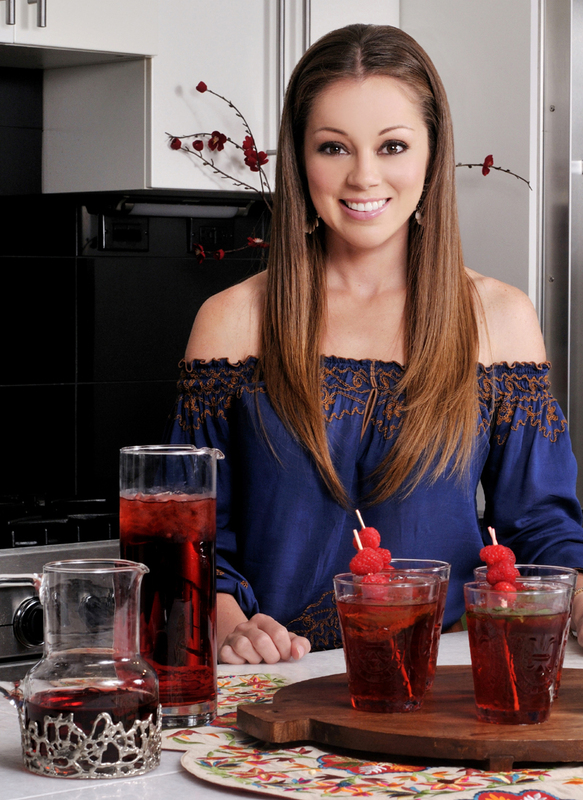 Mom, cookbook author and celebrity chef Marcela Valladolid, star of hit Food Network show ‘Mexican Made Easy’ has partnered with Sauza® Tequila to create easy-to-make, fresh tasting margaritas at home—no fancy tools and no exotic ingredients! Entertaining your family and friends has never been easier and your guests are sure to leave abuzz about drinks such as Marcela’s Warm Winter Margarita, a traditional Mexican recipe passed on to Marcela from her grandmother… an old family recipe that she’d love to share with you. Perfect for a cold day. This drink is full of flavor and makes the tequila blend smoothly. 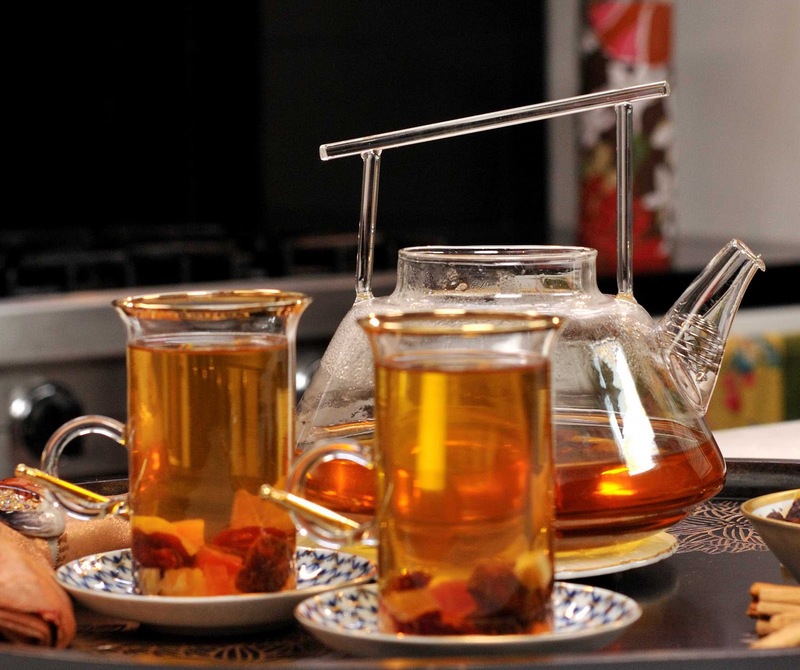 Combine apple juice and cinnamon in a heavy pot. Bring to a boil, reduce heat, and simmer for 10 minutes. Remove cinnamon stick carefully. Add sugar, dried fruit, and tequila. Mix well. Serve warm. Add a nice dinner and you have a fiesta! Season chicken breasts with salt and pepper on all sides. Combine chicken, tequila, lime juice and orange zest in small shallow dish. Cover and marinate at least 30 minutes and up to 2 hours, turning occasionally. Grill or broil until just cooked through, occasionally basting chicken with some reserved marinade, about 4 minutes per side. Boil remaining marinade in small saucepan 1 minute. Cut each chicken breast crosswise into thin slices. Arrange slices on platter. Garnish with lime wedges. Serve chicken with tortillas, lime, avocado, and passing marinade separately as sauce. As families gather for Thanksgiving festivities, cranberries seem to be on everyone’s plate. So why not have them in your glass as well? Toss shrimp with salt, green onions, lime juice, kosher salt and 3/4 teaspoon coarsely ground pepper. Heat butter in a 12-inch heavy skillet over medium-high heat until foam subsides, then sauté shrimp, turning, until pink and just cooked through, 3 to 5 minutes. Reduce heat and add Sauza blanco, then increase heat to medium-high. Tilt skillet over gas burner to ignite tequila (or ignite with a long match; use caution, as flames may shoot up high). Cook, shaking skillet gently once or twice, until flames subside. Remove from heat and stir in crema. Serve sprinkled with chili powder.